How To Make Money From The Internet - The Secret To Internet Riches Revealed! How to make money from the internet - This subject has attracted a lot of attention in recent years because of the success of web sites like Google, Yahoo, Facebook, and thousands of other web sites that generate unlimited wealth for their owners. Wait. Can you really make money from the internet? Unfortunately, the internet is filled with people teaching other people how to make money from the internet. And many of these self-acclaimed 'internet marketing gurus' have not made any dime themselves from the internet. I have been approached several times by people who believe there is money to be made on the internet but who have tried virtually every strategy taught by internet marketing experts in Nigeria. Sadly, all of the strategies they have been taught by these over-priced 'experts' have failed to generate consistent income for them. Millions of people are on the internet searching for ways to build a web site that generates consistent income month after month. But over 90 percent of these people are on the path to failure right from day one because they are using the wrong process and the wrong tools. They have been fed lies that hurt their ability to make money online. So they fail flat online. I am touched by the determination of these people to make money online and by the amount of money they have lost to 'internet marketing experts' who have repeatedly 'scammed' these innocent people of their hard earned money. That is why I have released the book, "How To Make Money From The Internet - A Step-By-Step Guide To Making Honest Income Online". This book reveals the secret to internet riches. It shows you how to generate unlimited internet wealth. 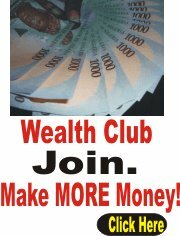 It shows you how to make money online right here in Nigeria. The solid internet business advice provided in this book will ensure you use the right process, the right tools, and the right education to build yourself a popular and profitable web site. The book, "How To Make Money From The Internet - A Step-By-Step Guide To Making Honest Income Online" will ensure you get on the right path . . . the path to internet business success. "I went through the book over the weekend. It is a masterpiece and an eye opener to me. God will continue to enrich you." Hameed, a customer who purchased this book. "Break The Yoke of Failure! Generate Unlimited Income From The Internet! Grab Your Share of Internet Riches!" Now you can succeed with your internet business. You can break the yoke of internet business failure and become a successful online entrepreneur. By simply getting a copy of this book and implementing the strategies discussed in it. The book tells you the exact things you need to do to make money from the internet. It shows you the right process to build a successful internet business and the tools and education required to make the process work for the you. This book shows you the exact same steps I have used to build my internet business empire. Nothing is held back. The book, "How To Make Money From The Internet - A Step-By-Step Guide To Making Honest Income Online" covers . . . If you are serious about making honest money on the internet, this is the book for you. Want to make money online? Want to generate unlimited income from your own popular and profitable internet business? Then order the book "How To Make Money From The Internet - A Step-By-Step Guide To Making Honest Income Online". Simply pay into our bank account and we will send you a downloadable copy of the book. Call 07086459367 or 08033290430 to request our bank account info and pay for the book. Send a text message if the lines are busy. P.S: This special book is available for immediate download after your payment is confirmed.